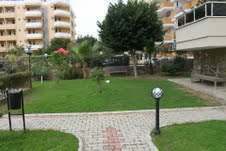 The DEMİRAĞ Complex is located in the heart of the sub urban town of Mahmutlar, 14km east of Alanya City. It has views of the famous Taurus Mountains (5km), the Mediterranean Sea (50m), the famous setting sun over Alanya Castle (15km) and is only 25km from the Gazipaşa Airport. This is the ideal location for anyone who wants to be close to all amenities. This apartment is being sold with builders finish. Please submit your details on-line or call direct on 0090 242 528 5551. Apartment for Rent on Tsiteli av. In Gagarini street there are 7rooms with 4 bedrooms, 255sq.m, newly built, fully finished, on the9th floor, ID.2322655, its price is 199 000$. T. 599014362 Nino. Situated in a very tranquil place, has nice views to Vere river. Next to various shops and the shopping mall. Close to schools as well as kindergartens. 10 minute walking from the city's biggest park Vake park. sell appartment , Batumi , Georgia . 2 bedroom apartment for sale in Czech, I _4 floor, courtyard with a children's garden, seen from the window of the school. Apartment is a renovated, working elevator. Address: Vera 3, and I 2 Micro. 2nd Corps. 4 ground . I can speak to the price. 8-storey apartment on the 3rd floor. Three, Old renovated, two balconies, sakuchnao. Hot water, gas, phone, Internet, urban type of project. Views can be further price negotiations. Four-room apartment with garage, with central heating and cellar in Washlijvari.Price with deal. New 3-story house for sale in the village Ruispiri, city of Telavi. modern design, the new Tin Roof-top auxiliary shelves, large yard, bearing peach orchard, 2.471 acre (1 Hectare ) of the total area. For sale or rent an aprtment building hotel-"Mziuri Veli"
Office space for sale on Agmashenebeli avenue 108/110; Space area 560sq.m III floor + mansard; can be used as a hotel as well it can be also sold partly.